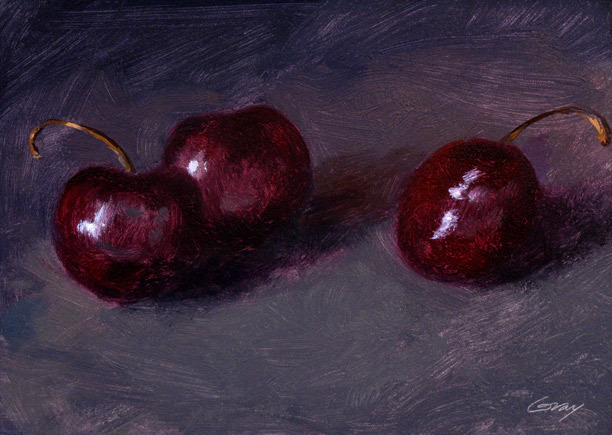 Don, I love these little cherry paintings. I like the calmness and simplicity of the subject and the quiet way in which you have treated it. Thanks, Sheila. These were a pleasure to paint.